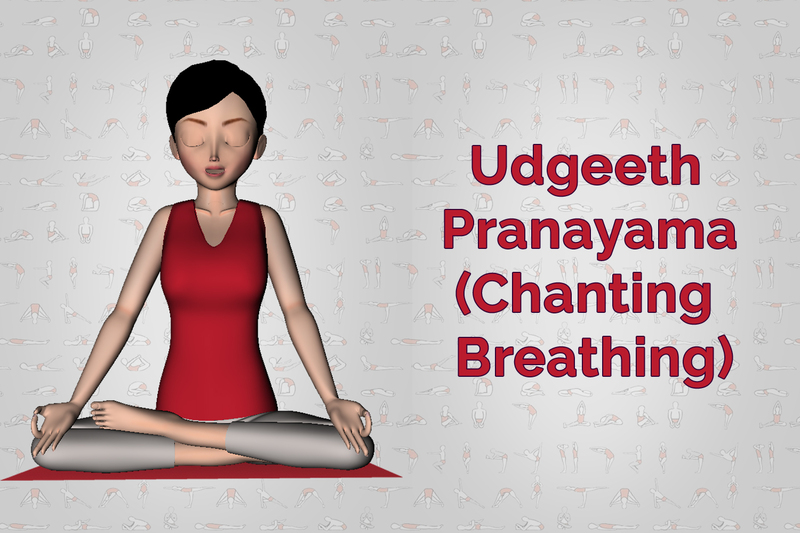 Udgeeth Pranayama is the simplest form of pranayama and very helpful in improving concentration. It is also known as Omkari Japa means chanting of Om. In this one has to inhale and exhale slowly while chanting Om. While chanting Om, the O should be 3 times longer than them. This can be practiced for 5 to 11 times daily. The speed of respiration should be slow and subtle that you yourself may not be aware of its sound and even the piece of cotton placed in front of the nostril should not move by the effect of the air exhaled out. This pranayama is very helpful in relieving stress and depression. If this is practiced at bedtime, one will get peaceful sleep without any perverted dreams. Initially, in Udgeeth pranayama, the breath can be felt only in the nostrils but gradually it will be felt deep inside. This visualization of the breath and continuous chanting of Om will lead to Dhyan automatically. Your mind will develop a feeling of concentration and body will be filled with the feeling of Om. 1. It is very effective against hypertension. 2. It improves memory power and concentration. 3. It controls high blood pressure and disorder of kidneys. 4. It cures problems related to sleep and bad dreams. 5. It cures the problems related to the nervous system. 7. It relieves tension, anger, and anxiety. 8. It calms the mind and brings stability. 9. It improves the digestive system. 10. It reduces falling of hair, premature graying, an appearance of wrinkles, and diminution of eyesight. 11. It helps in bringing natural glow on the face. 1. Should be practiced on an empty stomach. 2. Should not be practiced by pregnant women. 3. The inhalation and exhalation process should be slow and smooth. 4. The gap between food and this pranayama must be of 5 hours. 5. It is better to practice in the fresh air. 1. 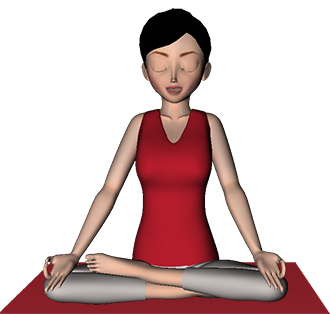 Sit in a padmasana pose. We advise you to sit up with your backbone straight. Keep a gentle smile on your face. 2. Breathe deeply through your nose till diaphragm is full of air. 3. Then exhale while chanting the word Om. 4. Make sure to keep the length of O three times that of m.
5. Choose a level of exercise, you can easily keep up with and breathe comfortably. Set your value of inhale and exhale. A ratio of Inhale and Exhale is 1: 4. And you can change it according to your capacity. 1. Take a breath from both nostrils while the device vibrates. 2. Now start exhaling from both nostrils while chanting the letter O. 3. Now start exhaling from both nostrils while chanting the letter M.
4. Keep reciting ‘OOOM’ in the mind in the ratio 3:1 i.e 3 for letter O and 1 for letter M. Imagine that divine bliss is descending on you and that deep divine wisdom fills your entire being. Stop exhaling when the device vibrates again.